Carbon content >85%, heat >8 1000 kcal, ash content<5%, volatile <15%, water <4%, burning time >3 hours. Charcoal products can be divided into white charcoal, black charcoal, activated charcoal, charcoal briquettes and mineral charcoal. White charcoal is made from a kind of hardwood. Charcoal briquettes are generally produced from biomass or wood wastes by using charcoal briquetting equipment. 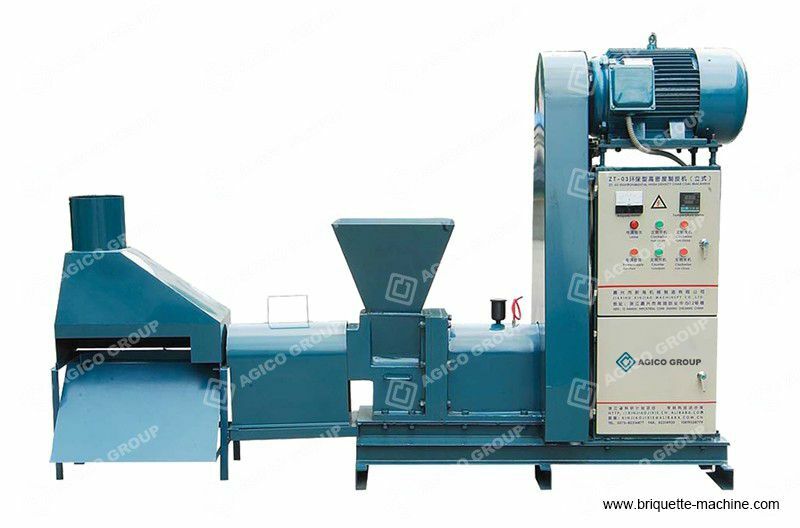 Under high temperature and high pressure in briquetting equipment, biomass materials will be pressed into rob shape briquettes. 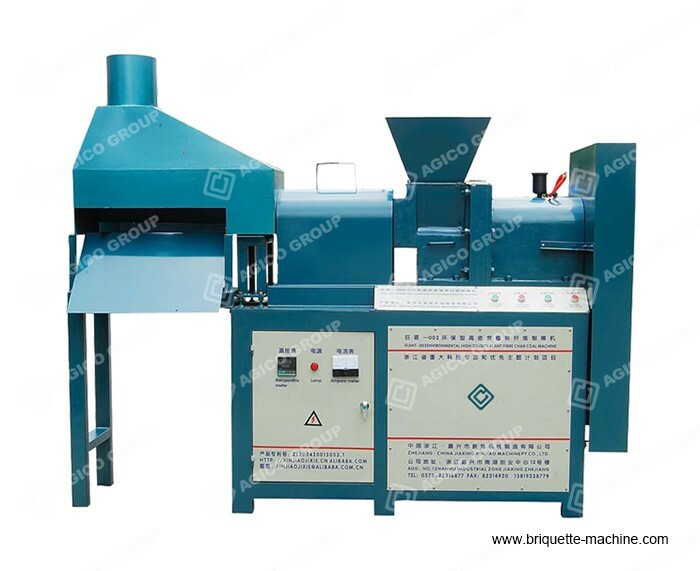 Then put the biomass briquettes into a carbonization furnace or charring kiln, pollution-free charcoal briquettes will be produced. There is no need to add any additives during the entire charcoal production process. Charcoal briquettes are a kind of green energy. In recent years, people’s consciousness of environment protection is keeping increasing. Many countries have promulgated a ban on deforestation policies, especially forbid using valuable hardwood wild tree for charcoal production. That means the raw material source for making white charcoal is broke. Under this situation, charcoal briquettes become a very good alternative. Charcoal briquetting equipment and charcoal briquetting industry is now becoming a promising investment.